Bridge Park retail center representative Chad Williams at the Sept. 24 meeting of the Peachtree City Planning Commission. Photo/Ben Nelms. The Peachtree City Planning Commission is expanding dining choices for residents in approving new restaurants on both the north and south sides of town. 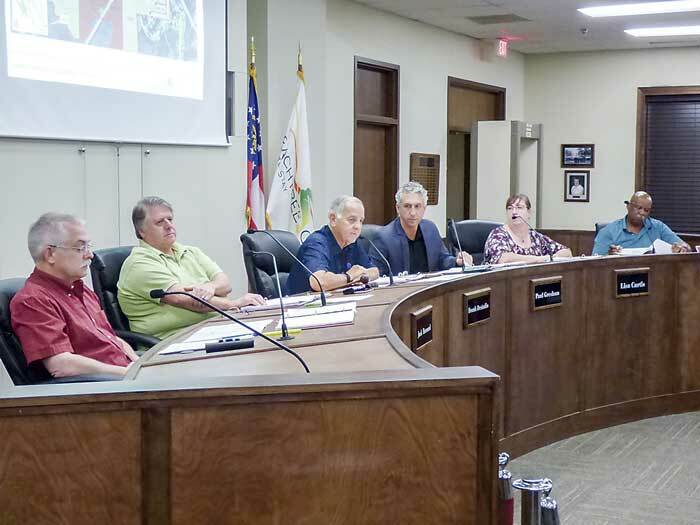 Conceptual plans for the Bridge Park commercial development — which includes two restaurants — on Ga. Highway 74 North were approved unanimously by the Peachtree City Planning Commission at its Sept. 24 meeting. And at the same meeting, the planners approved conceptual plans for a Panera Bread restaurant, an unnamed coffee shop and a dental office at the Wilshire Pavilion on Ga. Highway 74 South. The conceptual site plan for the Bridge Park proposal to the north of Aberdeen Parkway and adjacent to the Hilton Garden Inn received unanimous approval, with two buildings slated for the site. One of those will house a 3,670 sq. ft. McAlister’s Deli restaurant with the other totaling 6,000 sq. ft. and expected to house another restaurant and a retail business. Though denied in August over issues with the highway buffer, the applicant returned with a plat recorded in 2014 that was determined by the city attorney to negate the need for commission approval for the prior highway buffer reduction request by way of a vested right. “The property owner reached out to staff and provided a recorded plat dated 2014 showing a 30-foot landscape/tree-save buffer and a 10-foot utility easement. After review by the City Attorney, it has been determined that the property owner has a vested right in this 30-foot landscape/tree-save buffer; and therefore approval by the Planning Commission is not required. 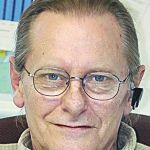 The additional 20 percent increase in required trees is not required due to the vested right determination,” Senior Planner Robin Cailloux said in a Sept 10 letter. Cailloux in the letter also noted a concern pertaining to parking that had been discussed at the August meeting, remarking that city ordinances do not include language regulating golf cart parking, even though commercial developments are often asked to include such parking. “The city ordinances do not contain any language regulating golf cart parking. The ordinance only regulates automobile parking by establishing a minimum number required, a maximum amount permitted and specific size requirements. The minimum number of parking is based on the proposed land use, and the maximum number of parking spaces is 125 percent of the minimum. 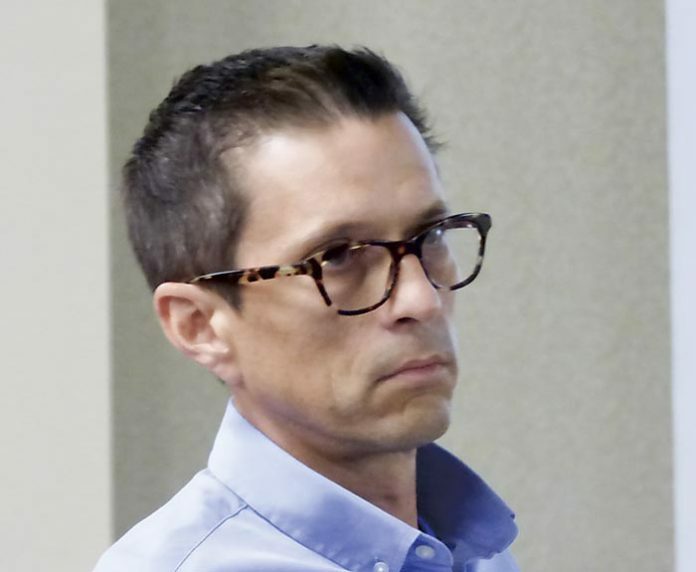 As such, golf cart parking is not counted toward the minimum parking requirements established by the ordinance,” said Cailloux. Cailloux said Bridge Park proposed 105 vehicle parking spaces, which is within the ordinance limit. Though not required, Bridge Park will provide 21 golf cart parking spaces. The issue with golf cart parking spaces not being covered in city ordinances will be addressed in the upcoming ordinance re-work. Meanwhile, the south side of town also got some new menu items. The conceptual site plan proposal by McWhirter Realty for one of the lots included a 4,480 sq. ft. building to house a Panera Bread restaurant that will contain two separate tenant offices and, adjacent to it, a freestanding coffee shop totaling 2,000 sq. ft. Both Panera and the coffee shop will include drive-thru windows. Pertaining to the two offices, the project representative said they will be approximately 240 sq. ft. each and would be targeted for supplemental offices for uses such as real estate or insurance. McWhirter was confident that finding tenants would not be a problem. Also by unanimous vote, commissioners approved the conceptual site plan and elevations for a 4,280 sq. ft. building to house Heartland Dental. The building will be situated adjacent to the Panera and coffee shop lots and near Rockaway Road. Members of the Peachtree City Planning Commission at the Sept. 24 meeting included, from left, commissioners J.T. Rabun and Jack Bernard, Chairman Frank Destadio, and commissioners Paul Gresham, Lisa Ann Curtis and alternate Commissioner Michael Link. Photo/Ben Nelms. I’ll pass on many more fast food burger joints…. Sometimes a Whopper is a great treat, over priced sandwich stores and all the choices in PTC..Chik fil A, Chick fil A and another Chik Fil A.
I like a good fresh Whopper as much as anyone….don’t get me wrong…I suppose I should have said fast food joints in general. My point is fast food choices in PTC are very limited, you can get chicken and pizza all over but there is no Krystal, Burger King or even Hardees. Our McDonald’s is one of the worst.